Been thinking about this idea. So contacted. A solar panel. Person. He said. It gives. Not enough power. To. Run a machine a beer brew machine. If you put black hose (5 gallons of it) on the roof of what you are building I bet you could get to mash temperatures for nearly free. Copper tubing would be better because your beer wouldn't take like hose water. Or you could use Pex tubing since that is what we use for drinking water here. Huge coil painted black. Copper would last longer but if you look at the Pex builds they shield the Pex from UV with some black wrap. This is just mindless wandering and wondering. Haven''t even tried to look up any information. Will the well water pipe stay tasteless with hot water flowing through it? All of our well water lines are the black plastic and just fine with cold water. Ready to rack 10 gallons of my Rye IPA this weekend. But I always say, "When the Beer Frig is Full, its time to Brew". We really blasted through my Vienna IPA last weekend at a Charity Event so maybe I should do that again. Just take her vehicle away for a week instead of reviewing... that should work out for you. Finally got a break in the hot weather. Started kettle souring my Gose. Got 3 lbs black current so going for it a 5 gallon batch. I'll save the raspberries for wine. Everyone loved last year's. Anyone make or have a black current sour? Check shortsbrewing. Thier black currrant sour is pretty awesome. https://www.shortsbrewing.com/. Its dry hoped alittle tropical fruit/ citrus finish. Citra, Amarillo and Cascade and maybe Mosaic hops hard to tell the black currant and the sourness gives it almost a tart cherry taste the finish is where you pick the citrus. 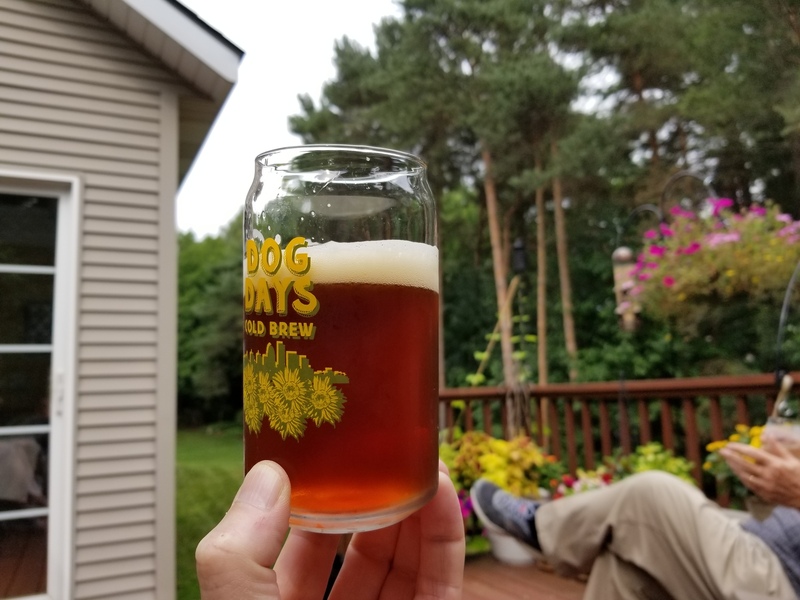 It's cherry season here in West Michigan so time for a Cherry Saison. Going to freeze some for later this year as well. Brut IPA tomorrow and a Helles Saturday. Gotta get ready for Oktoberfest celebrations!